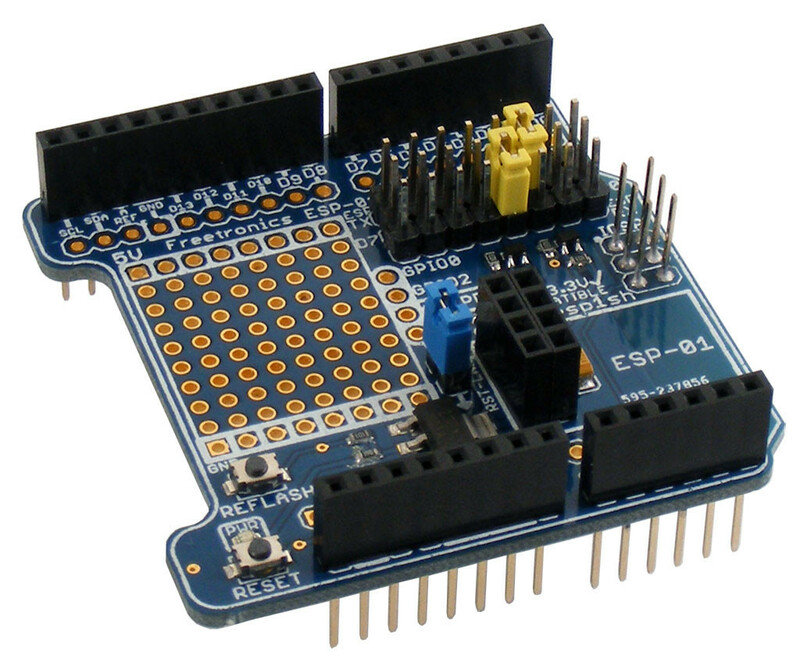 So if it happens to be the owner of the very first esp8266 modules, the Esp-01’s, you already know that it is not that simple to physically connect them to an arduino board due to pinout. You will need either to bend the pins to fit it in a breadboard or to make a small adapter yourself. 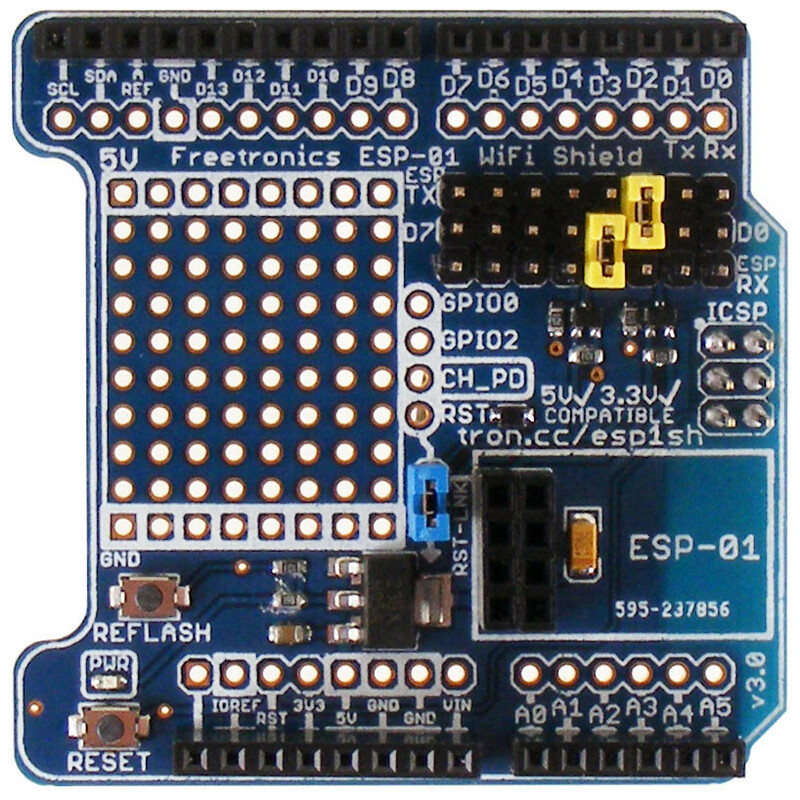 A nice convenient solution might be the ESP-01 WiFi Module Shield from freetronics if you are willing to spend almost 10$. Have a look below for features and a link.